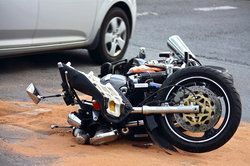 Motorcycles can be dangerous enough on their own; the addition of road hazards and debris can spell catastrophe for even the most careful motorist. And unlike drivers in car accidents, who may benefit from multiple safety features, motorcyclists are susceptible to significant injury in every accident. According to a national survey in 2006, motorcyclists were more than five times as likely as car drivers to be involved in a fatal crash. With the inherent risk involved in driving a motorcycle, it stands to reason that riders should be concerned with their surroundings at all times. Unfortunately, not all roads are well maintained. Debris and obstacles in the road can make driving significantly more dangerous, especially when cyclists are surrounded by other vehicles or traveling at high speeds. If you or a loved one have been injured in a motorcycle accident caused by debris, our Torrance law firm is prepared to help. Take note of the dangers involved by road debris and what you can do in response to such injuries. When considering road hazards, it’s important to keep in mind what type of debris is present and who is responsible for it. Depending on the type of debris and the laws in place regarding road maintenance, a motorist may have a reasonable case against the negligent party. When roads are not well maintained, it is likely that they will begin to chip away, leaving pieces of gravel, cement, pavement, and other materials strewn across the road. This is even more likely in areas with a varying climate, as alternating temperatures and precipitation cause roads to expand and crack. Between weather, use, and time, it is only natural that debris will form on roads as they wear away. The question then becomes whether the roads will be repaved in a reasonable timeframe and by whom. While many such injuries are immediately apparent, riders should also be wary of any lasting effects of an accident. Whiplash and back injuries, for instance, often result in chronic pain and problems long after the accident, and may not fully surface for days or weeks afterward. It is therefore imperative that accident victims visit a doctor immediately after a crash, even if they do not believe any severe injuries have been sustained. It can be tricky to file a lawsuit regarding road maintenance, as this generally falls under the domain of state or municipal governments who have varying laws regarding their legal responsibility to do so. In some cases, governments can claim sovereign immunity, meaning they are partially or completely absolved of responsibility for any accidents that result from road conditions. This may be discouraging at first, but it is all the more reason to seek the expertise of a personal injury attorney who is well versed in your area’s laws and codes. If a government is not completely immune from responsibility, and a notice of claim is filed within a specified time period, it is possible to gain compensation for one’s damages. With the right lawyer and case, you may be compensated for some or all of your expenses, including medical bills, ongoing treatment, property damage, loss of income, and pain and suffering. The best way to determine if you have a case is to speak with an experienced lawyer as soon as possible. With a timely call to our firm, we can begin investigating the details of your case and provide you with a potential plan of action. Call or email us today to learn more.